Whether your need is to restore a valuable antique or to repair a treasured piece of furniture, I can help you determine the best approach. Antique restoration is a demanding craft. The goal of restoration is to repair and restore the structure and finish of a piece as close to its original state as possible without diminishing its value. For items that do not have a historical value, stripping and refinishing may be appropriate, and result in the best outcome. Together, we will determine the best method and process for your furniture, so that you and future generations may enjoy it. 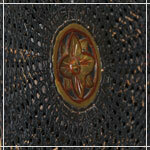 I am happy to provide free antique restoration estimates to customers living in the Greenville, SC area. I also offer free pick-up and delivery to the surrounding area. Depending on the historical and personal value of your antique, I will recommend any one of a variety of ways to restore it to it’s original beauty. French Polish is one of the oldest furniture finishes, primarily used on high quality furniture. It is a process using shellac, a resin secreted by the females of the lac insect, indigenous to Thailand and India. 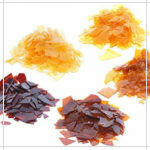 Shellac is processed and sold as dry flakes (pictured at right), which are dissolved in ethyl alcohol to make liquid shellac. The shellac is applied in many thin coats resulting in a very high gloss surface, with a deep color and “pop-the-grain” vibrancy. Lacquer is a solvent-based furniture finish that is usually clear but may also come in different tints and colors. It contains plasticizers that make it harder and more durable than varnish. It dries more quickly. The very hard finishes that some lacquers can produce actually help your furniture look more beautiful and become more resistant to damage. Lacquer can produce surfaces that are shiny and glossy because it contains shellac mixed with alcohol. There are many different levels of sheen available for lacquer. Oil furniture finishes are considered to be environmentally friendly and yield a transparent, waterproof and lustrous finish. 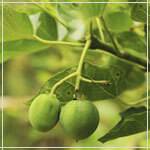 Tung oil or China wood oil is a drying oil obtained by pressing the seeds from the nut of the tung tree. It is applied to prepared wood in many fine coats and cures to a satin “wetted wood” look with a slightly golden tint. Tung oil resists water better than other oil finishes, but does not provide durability from scratches. 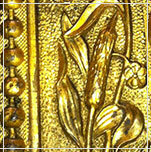 The term gilding pertains to a number of techniques for applying fine gold leaf or powder to surfaces such as wood furniture to give a thin coating of gold. Gold leaf is made by hammering gold into an extremely thin unbroken sheet for use in gilding. It is the simplest and most ancient method that has remained relatively unchanged for thousands of years. Before applying the goldleaf, the wood surface is covered with gesso and clay bole. After the bole is applied, its surface is re-wet with what is called gilder’s liquor, and then the gold leaf is applied onto the object. The final step is burnishing or polishing the gilded surface to a brilliant finish. Before refinishing a piece of fine furniture, repairs must be made such as duplicating or replacing old wooden parts; regluing weak joints, recreating missing pieces of an antique inlay. 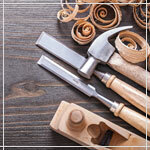 We use traditional carpentry techniques that ensure your treasured piece will withstand the test of time. Caning is a method of weaving chair seats and other furniture either while building new chairs or in the process of cane chair repair. The material used in caning chairs is derived from the peeled bark or skin of the rattan vine native to Indonesia, the Philippines and Malaysia. I love a challenge. Special requests are always welcome. For example, a Miami customer came to me with an unusual request. 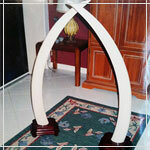 He had two trophy elephant tusks which were mounted on standing bases. These were top-heavy and unstable. As a result of a fall, one ivory tusk tip had chipped. The break was easily repaired, but stabilizing them against future injury was more complicated.